Fort St John Physiotherapy Clinic offers complete treatment programs for injury rehabilitation and post-operative care. Fort St John Physiotherapy Clinic offers complete physical therapy and injury rehabilitation in Fort St John for sports injuries, chronic pain and post-operative care. The experienced and knowledgeable therapists at our clinic offer treatment programs to a wide range of clients from across the Peace River Regional District. Our physiotherapy services include sports therapy, acupuncture, massage therapy and more. We also offer several programs focusing specifically on women’s health, including incontinence management. Serving both individuals and businesses in our local communities, we provide pre-employment and post-injury testing, including functional capacity testing, as well as handling all WCB injuries and ICBC claims. A knee brace or custom orthotic can make the difference between constant pain and a fully-functional life. In caring for patients who suffer chronic joint and back problems, we offer orthotics and braces, among other sports and medical supplies, to aid you in your rehabilitation. If you have been experiencing chronic pain, talk to one of our therapists about your options. 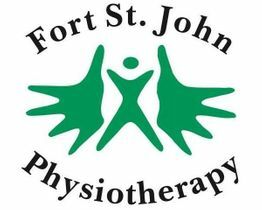 Contact Fort St John Physiotherapy Clinic now to schedule an appointment for your initial consultation. For your convenience, we also see clients after 5 p.m. and on Saturdays by appointment only. We treat patients with sports or work-related injuries and those afflicted with chronic pain.